Just as the Atlanta Legal Aid Society has evolved and grown throughout the years, so has the city in which it serves. 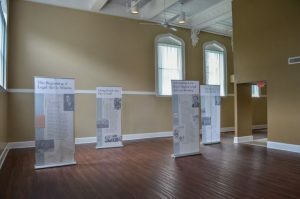 Atlanta’s older buildings, like Legal Aid’s new headquarters at 54 Ellis Street, bear eloquent, if silent, evidence of the city’s history. 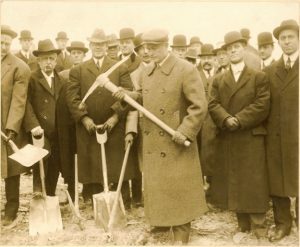 In 1910, the Lodge broke ground for its home at 54 Ellis Street. Wrought iron gates, handsome and ornate, welcome the visitor at the entrance. The four-story building, for some time the largest in the area, is described as “high Victorian”. The Salvation Army established its Southern Territorial Headquarters at 54 Ellis. 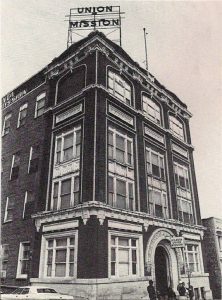 The Salvation Army then placed its name and emblem, still visible today, on the top southwest corner of the building. 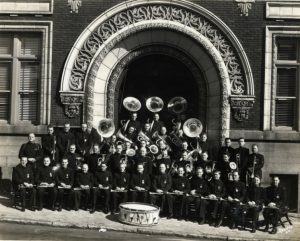 The Salvation Army maintained its southern base at 54 Ellis through the Great Depression, World War II and the first half of the Eisenhower administration, eventually selling the building to the Atlanta Union Mission in 1956. From the mid-eighties onward, businesses owned 54 Ellis. The succession included Ron Wilson, owner of his own Atlanta real estate firm, then Beers Construction, then Beers’ purchaser, Skanska, then a Florida-based real estate development group before Atlanta Legal Aid’s purchase in 2013. With the generosity of international firm King & Spalding, Atlanta Legal Aid renovated the 4th floor turning it into the King & Spalding Event Hall and Conference Center. This grand space provides the perfect setting for the Picturing Justice exhibit.